Database Systems Corp. provides state-of-the-art call center phone systems and outsourcing services. 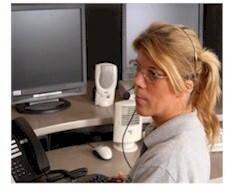 Our 911 Broadcast division provides both emergency notification systems as well as emergency dispatch calling services. If an emergency does arise in your community, our automatic phone message dispatch systems can contact your emergency response team by delivering calls in a fast and efficient manner. In the event of a natural disaster such as a severe weather condition, wildfire or catastrophic flood, you can immediately call your disaster recovery teams and give specific details and instructions. If an evacuation is required, our emergency broadcast system can deliver the available routes to members of your community or organization. Our emergency dispatch service can also be used for corporate or community group emergency notification. Critical system failures or events triggered by sensors can automatically initiate an emergency dispatch response. Using emergency XML messaging technology, our emergency dialers can be programmed to contact response teams or members in minutes of an event. Our service is capable of leaving messages for both individuals and answering machines. We can also re-dial numbers when there is no answer or a busy signal. A "press through" feature lets your emergency response team member confirm the receipt of the call, leave a voice mail message, or even transfer to one of your other response team members. Contact DSC to learn more about our emergency dispatch phone systems and services. The National Defence and the Canadian Forces have acquired an emergency broadcasting system from Database Systems Corp. to contact its members. This system is primarily used as an emergency notification contact system to ensure all members are contacted during any given event. Contact Us Today to learn more about our emergency alert services and systems. CARE�, Call Reassurance� and Emergency-Broadcasting.com are Trademarked by Database Systems Corp.